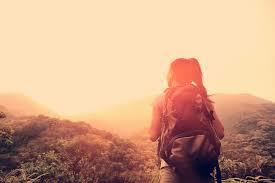 To go backpacking as a female can be daunting, but it should not be! Traveling on your own can be an amazing experience. After all, you are your own boss, and the only person you need to worry about is yourself. In order to help keep you calm and encourage you, I going to give some tips and answers to some possible questions you may have before deciding to go on the road! The advantages to go backpacking are a way worth! You will feel more self-confident, independent, and self-reliant. You will learn to challenge yourself and have a go at things, where before you would have been scared of failing and not even tried. You will increase your self-esteem, through knowing what you will have achieved – which should give every girl a sense of pride! 2. Make the most of your trip. Take a camera, document this beautiful experience. Don’t be limited by being a female traveler. You can do anything you want to but do not disrespect the law. 4.Do the trip your way. Decide how long you want to travel and where. Do not let anyone tell you what makes a worthwhile trip, they are all worthwhile! It’s your trip, no one else’s so enjoy it.